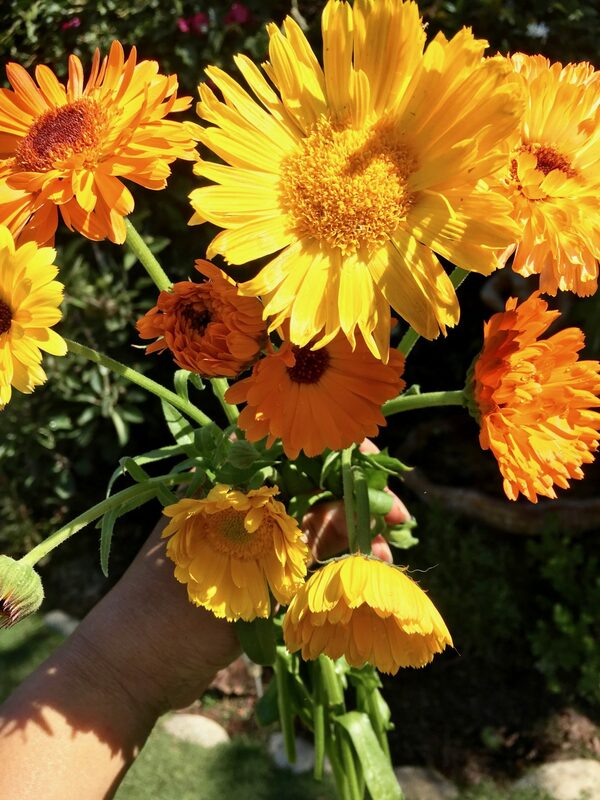 One of my favorite plants to grow is the amazing calendula. 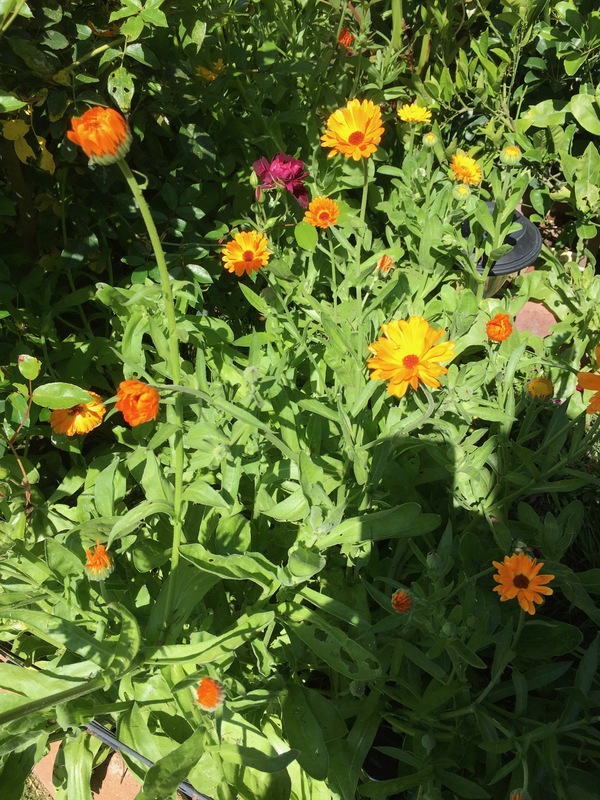 I didn’t know much about it before except for they are also known as “pot marigold”. While I was browsing online two years ago, I saw the seeds for sale. Anything that says “easy to grow” I’m interested. Additionally, the photos of the beautiful flowers attracted me. So I ordered the seeds and planted them. 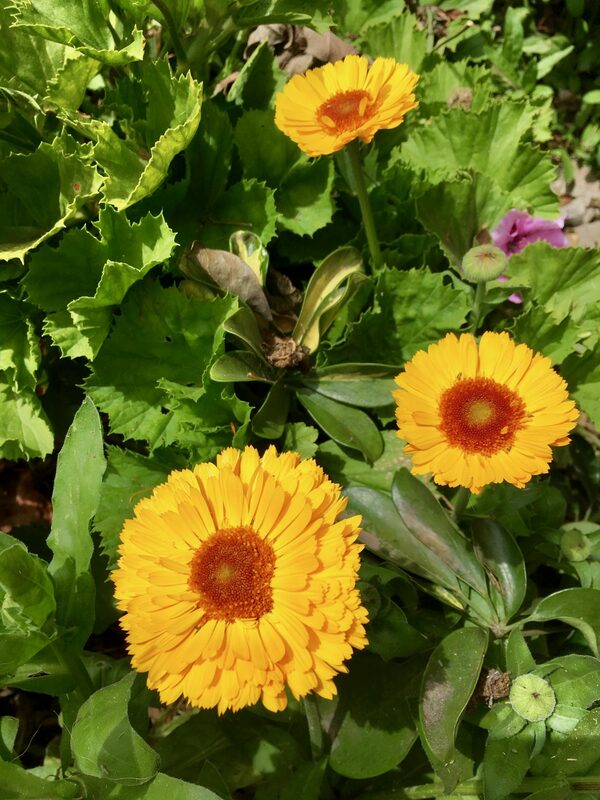 If you are a novice gardener, calendula is certainly the plant for you to try. 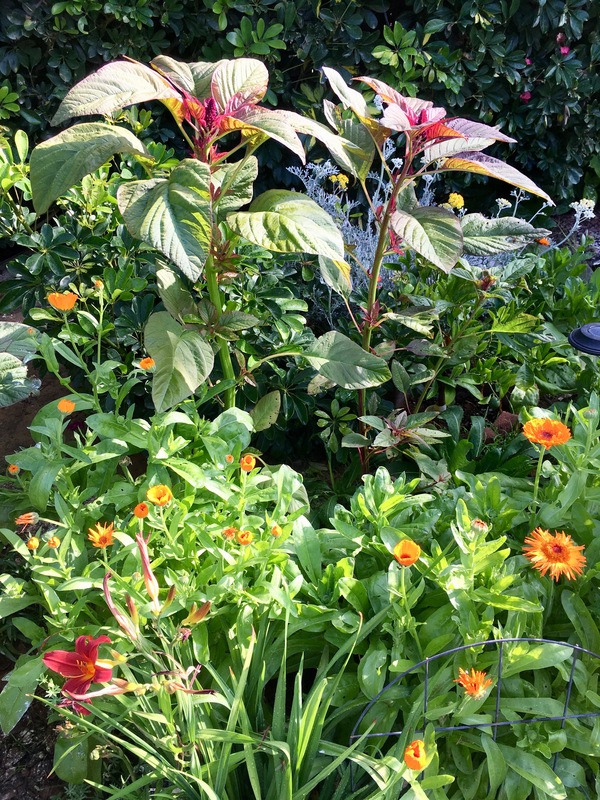 Planting it is so easy in zones 8-16. First, choose a spot that has full sun. Next, you can broadcast the seeds directly on the ground in early spring or plant them 1/2 inch deep and cover it with regular garden soil. (What I did the first time was directly broadcasted the seeds on the ground just like wildflowers). Then, water it regularly. As it grows to 2 feet high, make sure you water it at the soil on the base of the plant to prevent mildew. 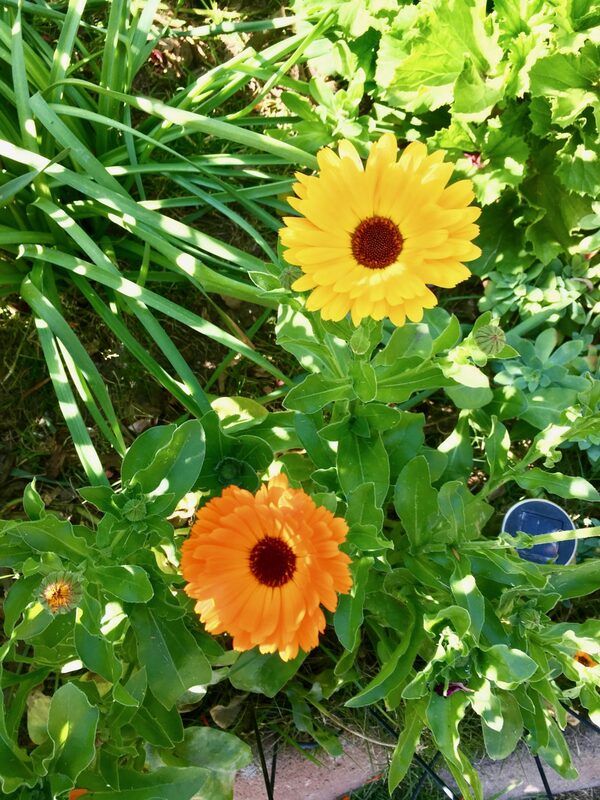 By summertime, my garden was full of spectacular bright yellow and orange blooms. The eye-catching flowers almost look like baby sunflowers. It is also such a low maintenance plant that there is no need to feed them. Because they have long stems, the flowers are perfect for cutting and bouquets. More importantly, it attracts beneficial bugs like bees, butterflies, ladybugs, and lace wings. Above all, they have a sticky sap that traps pests like whiteflies and aphids. How cool is that? 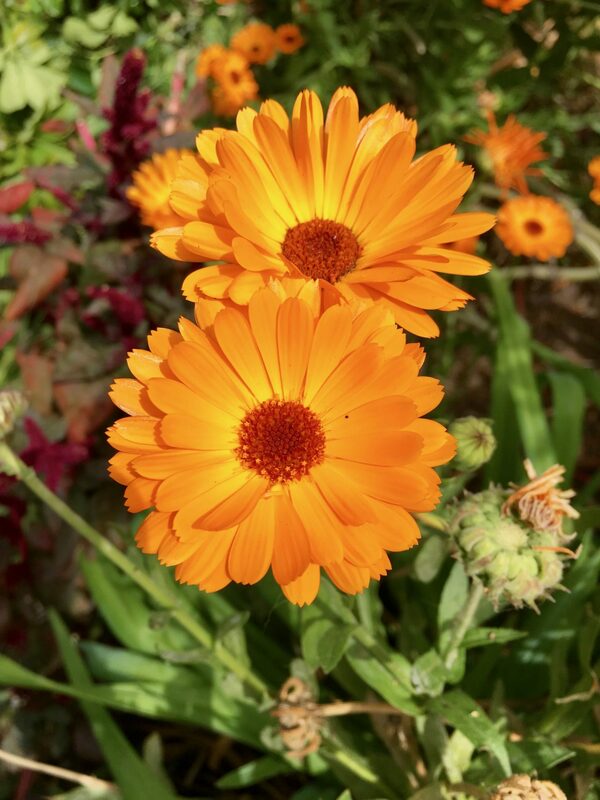 When fall arrives, calendula is still blooming. While you enjoy some of the flowers for inside the house, leave some faded flower heads to brown and start collecting the seeds. Then store the seeds inside a brown paper bag or envelope in a dry and cool place. Once the plant starts to die out, pull it and add into a compost bin. The plant also reseeds, so you will see some sprouts in a few months. 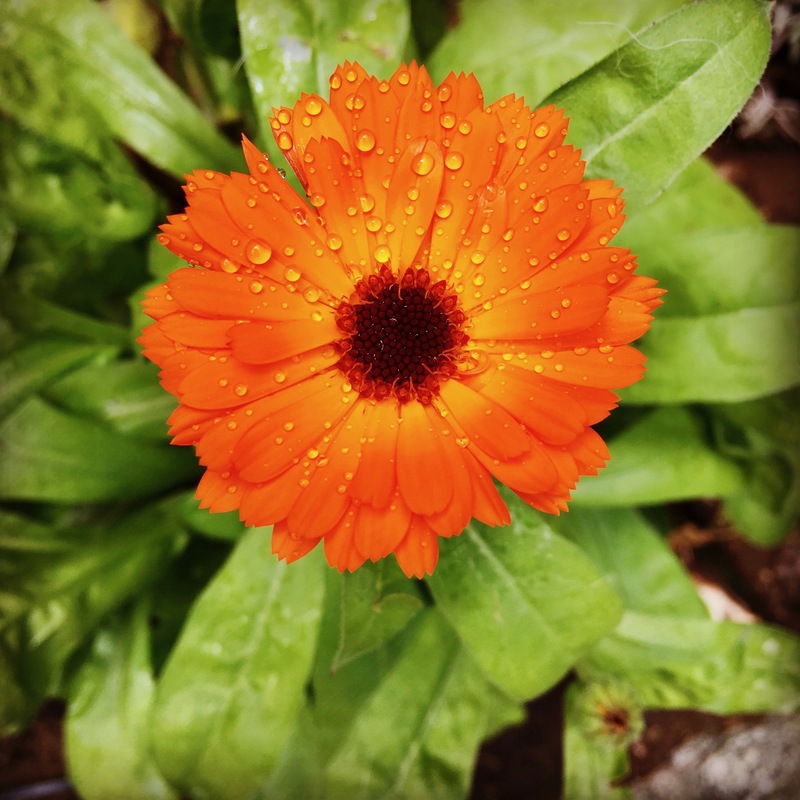 So every year now I look forward to growing calendula. 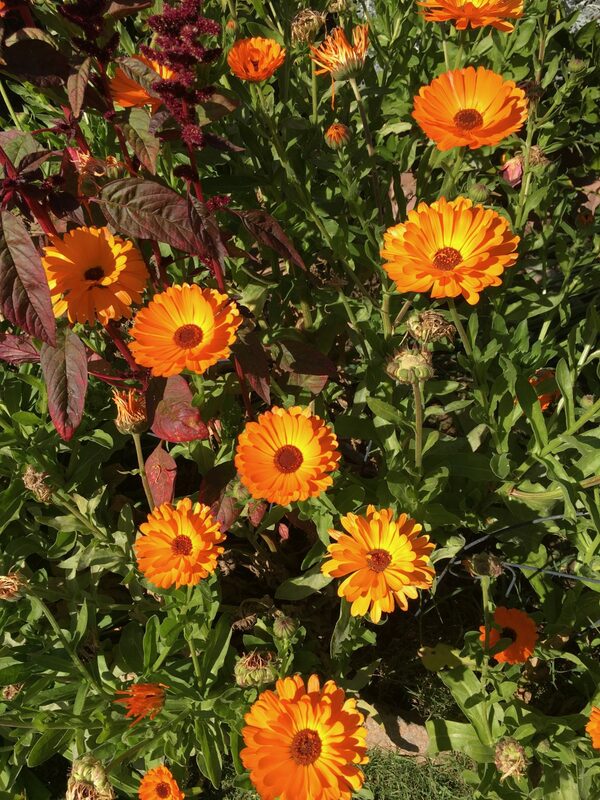 It gives me joy when I see the beautiful blooms and the seeds that it keeps giving. Try it!